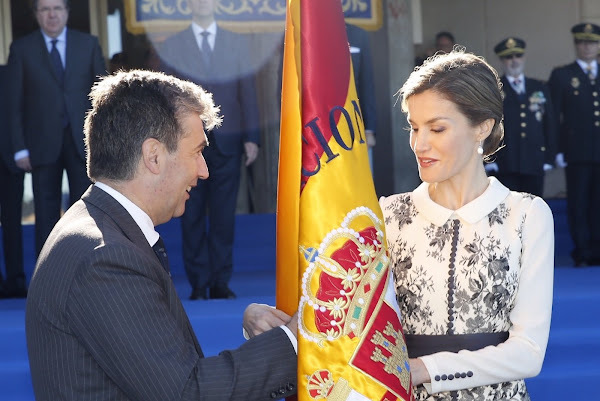 Queen Letizia of Spain delivers spanish flag to National Police at National Police School Headquarters on November 10, 2015 in Avila, Spain. Representing the King today! Getting better at the Queenly duties. Sober outfit for the occasion. 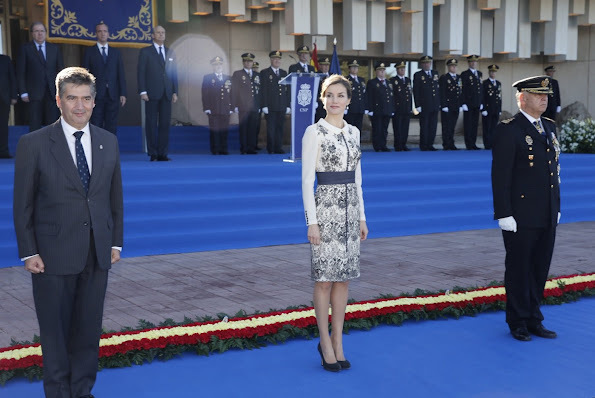 What a nice dress, Letizia knows very well how to dress, she is a very classy lady! I can see that this outfit is been repeated. 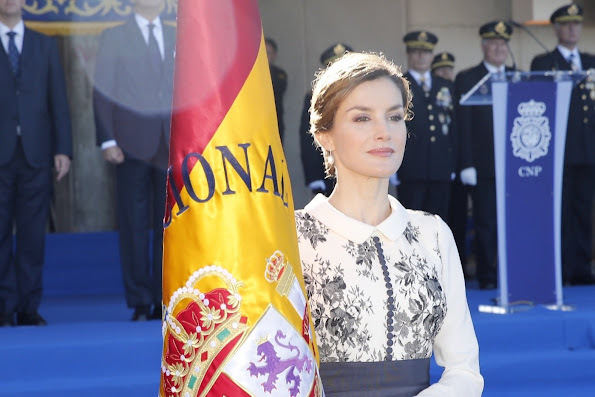 Yet her majesty Queen letizia looks fresh, descent and perfect for the event. It´s absolutely fabulous dress. And those earrings! Post of 20:15 . Will not say but easy to see why for her. Anonymous 22:32 : I agree with you ;) SImple, very simple . Glad to see she is not wearing trousers . Belle, simple et élégant, comm'il faut.